Life out on the open road can be tough if you're not properly prepared, even if you have a classic cruiser like the Yamaha Road Star S Midnight. Being comfortable as you ride across town is one thing, but once you introduce the vacation aspect of touring into the equation, things get a little more difficult. 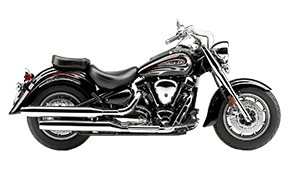 Viking Bags has created a special lineup specifically for this motorcycle, giving you a little bit more help when it's needed most. Deep pockets, locking lids and weatherproof exteriors all lend themselves useful with this collection of saddlebags, but don't just take our word for it! See for yourself.